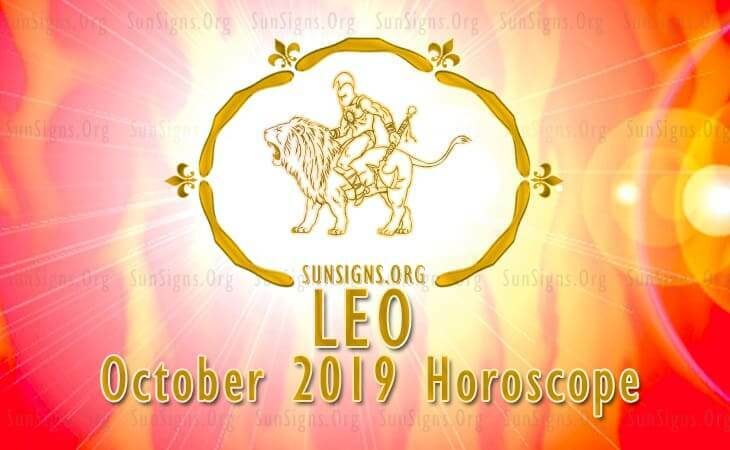 The Leo 2019 October Horoscope reveals that this month your main focus will be on yourself and your family. Professional concerns will come at a later stage when you have sorted all your personal and family issues. Leo personality will have to be social to meet new people and forge good relationships that will be important to both him or her and the people he or she shall meet. You are mostly an independent person, but there are some things that you cannot do by yourself hence the need for other people around you to help and lift you when you fall. The Leo 2019 love predictions foretell that this month there will be no peace in your family. Arguments will crop up here and there, and this will destabilize you emotionally. Based on the October 2019 horoscope, all the issues that had been buried in the past will be brought up and the thing will not be good at all. Leo zodiac children will be defensive in their approach to everything hence developing some rebellion towards their parents. You will only enjoy peace towards the end of the month when everything will have calmed down, and family members are willing to talk and bury the hatchet. Not an ounce of love will be experienced by singles this month. According to the astrological predictions for 2019, your family will be in shambles, and it is upon you to bring back peace and harmony in the family. At the end of it, all the elders will bless you for your efforts in uniting your family. The 2019 forecast for Leo predicts that your health will be awesome until the 21st day of this month when you will start feeling fragile. The fragile nature of your health will be associated with the change of weather. It is therefore upon you to take good care of yourself and seek medical attention whenever necessary. According to the 2019 October horoscope for Leo, this month your focus will not be on your career but that of others. You will strive to ensure that you develop other people’s career to gain the emotional security that you are yearning. The investments you make this month will determine your financial prosperity. The Leo zodiac sign should be able to invest with people or companies that are sure of making decent profits at the end of the day. Leo children will not do well in school in October 2019 since there is a lot of tension at home. They will be more focused on the happenings at home that they will forget about their educational goals and objectives. However, towards the end of the month, they will start improving since family issues will be resolved. This month traveling will be of great benefit to you as predicted by the Leo October 2019 predictions. You will travel with the family to strengthen your bond with them. These travels will also help in restoring peace and harmony that has been lacking in the family in a while. Professional travels will also be expected, but there will be a few of them.